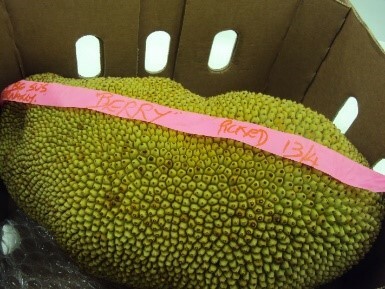 Jackfruit is one of several tropical fruits which are high-value crops in the southern Philippines. Growing crops such as jackfruit, durian and pomelo can allow smallholders to generate some income, but since processing options of products for both domestic and export markets are only just emerging, the development of these tropical fruit industries is limited. 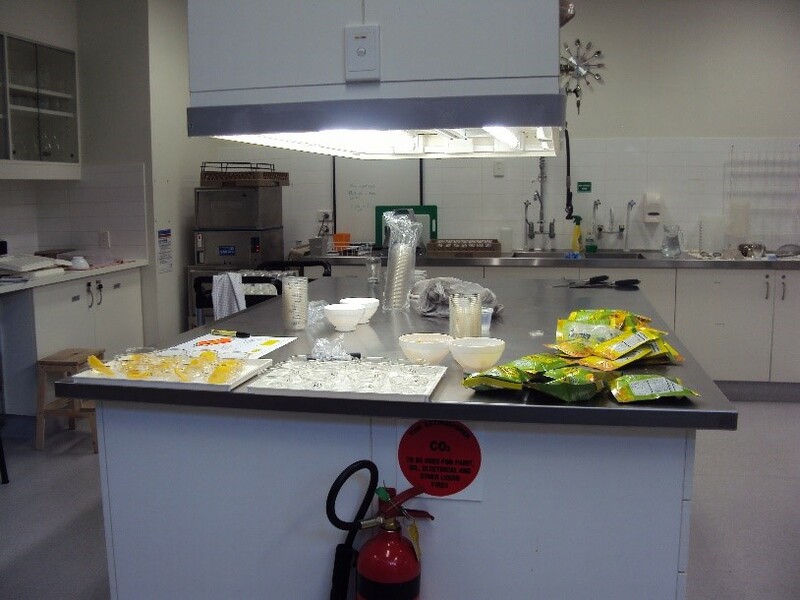 Dr Lorina Galvez, from Visayas State University (VSU) in the Philippines, spent two weeks at the Health and Food Sciences Precinct (Brisbane) in April 2016. 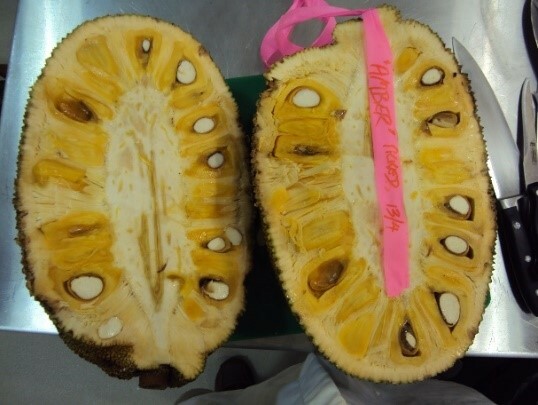 During this time, Lorina worked with the Innovative Food Technologies group from the Queensland Department of Agriculture and Fisheries (QDAF), to undertake several trials on jackfruit. 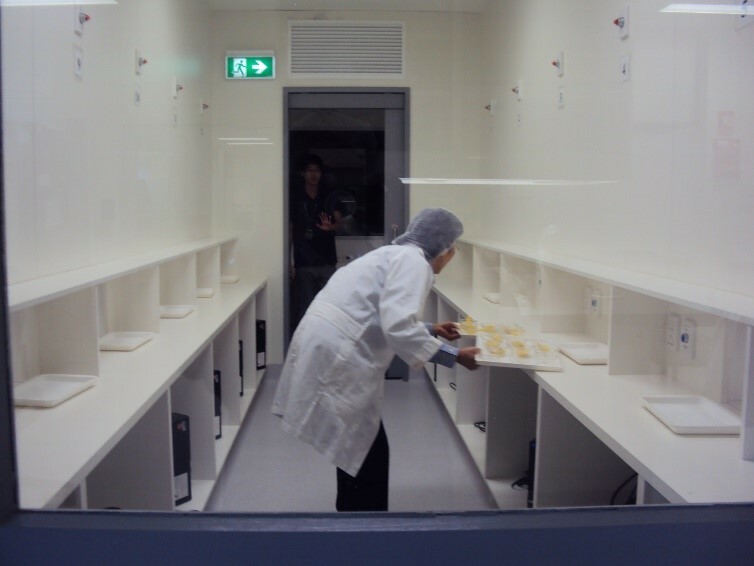 This work was within the context of the ACIAR-funded project Tropical tree fruit research and development in the Philippines and northern Australia to increase productivity, resilience and profitability. 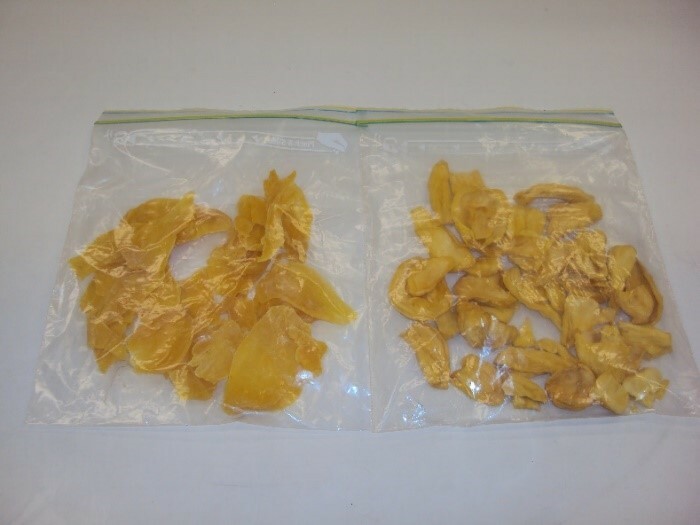 The trials included shelf-life studies, sensory profiling, and consumer acceptance of dried jackfruit products made at VSU, as well as freezing trials. 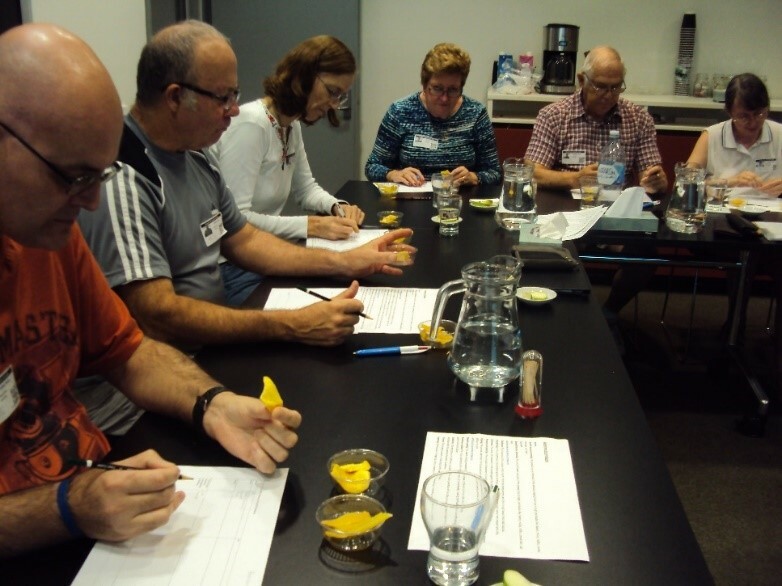 Lorina also had the opportunity to be trained in and undertake other methods for assessing food products, including use of an externally-recruited trained sensory panel. Lorina is currently looking to set up a similar panel at her university back in the Philippines, and this was a great opportunity to ask many questions about how to go about recruiting, training and utilizing such a panel, as well as seeing the panel in action with a range of products. This research work is expected to improve livelihoods of smallholder tropical fruit farmers in the southern Philippines and create research links with the industry in tropical Australia. 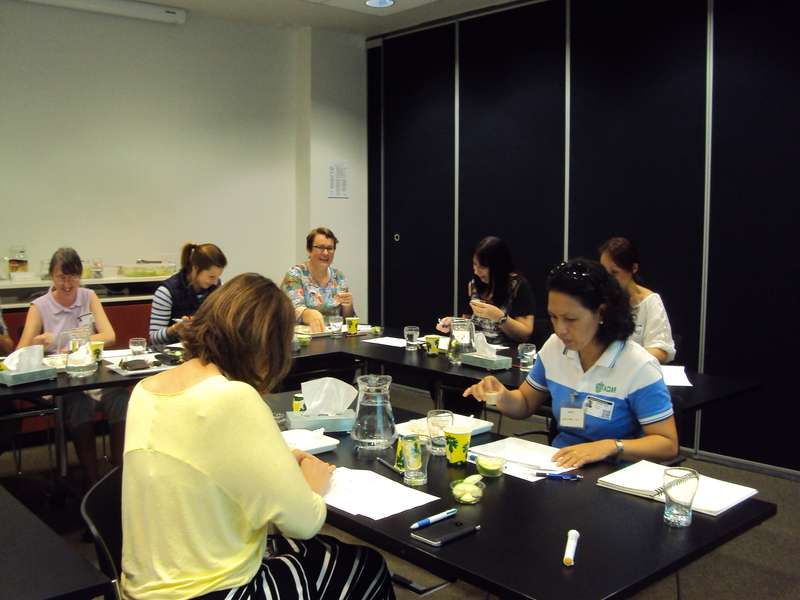 “This training really helped me to see innovations in Australia which can be applied in my workplace,” said Lorina. Dr Kent Fanning (Research Scientist, QDAF) arranged the training for Lorina. “I know that Lorina and her colleagues from the Philippines (Dario Lina and Francisco Dayap, who were hosted by Yan Diczbalis) greatly appreciated and valued their opportunity. They have returned home motivated to implement the things they’ve learned and share their experiences with colleagues and students,” said Dr Kent.